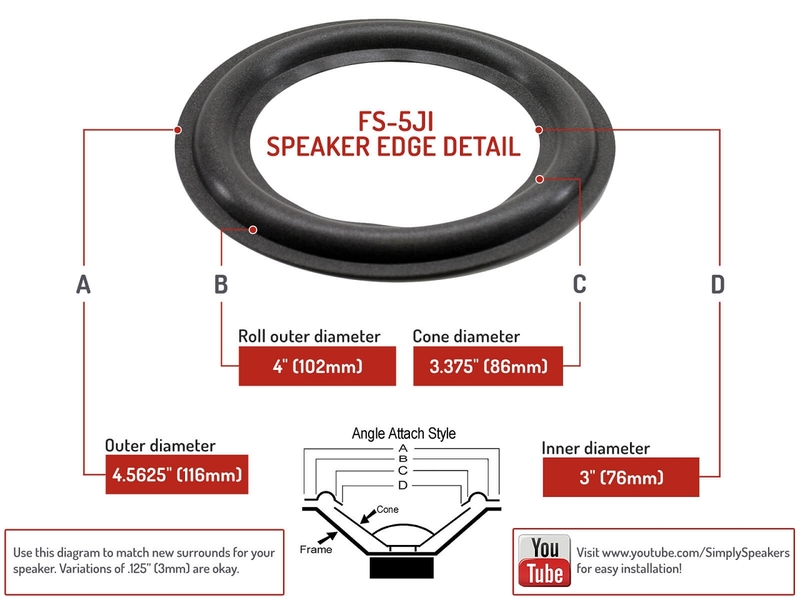 Ordered the speaker repair kit because to replace the speakers would be difficult due to the 6 ohm and the size.Could not fine the exact required speaker.Had never done a repair on a speaker before.Watched the video on simply speakers site and thought I would give it a try.The video used a large speaker for the demo which would be easier to work on than the 5 inch speakers that I needed to repair.Followed the instructions and replaced the foam edges on the 2 speakers.The adhesive gives you enough time to position the foam correctly.I am very happy with the results and would do the repair on any other speakers that needed the foam replaced. 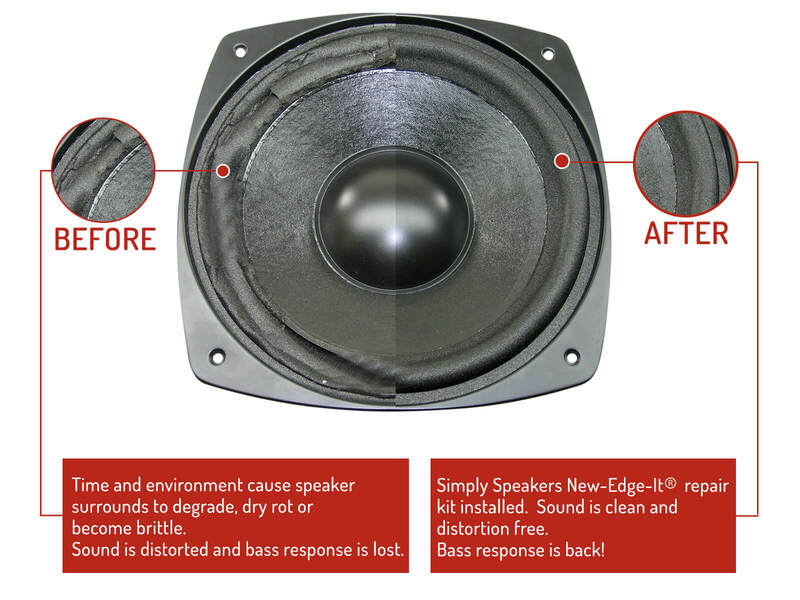 The Optimus Pro speakers I have are irreplaceable so I was very pleased to find a repair solution. 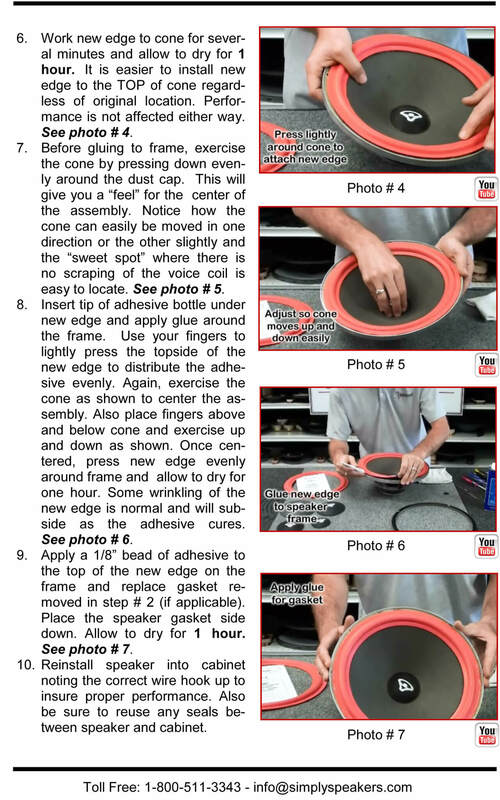 The repair kit was delivered right on time, and between the online and printed instructions, it was a simple process to replace the foam. I'm now able to listen to my favorite speakers. Great product ! I expected this to do the job, but it was easier than I could imagine. it went together very easily - as per instruction. I wouldn't hesitate recommending it to anyone. even if they don't have confidence in this kind a project. Everything was good. The only problem I encountered was the adhesive dried so quickly as to give no real time to ensure best fit and alignment. Was easy to do. Great results. Worked as promised. Took a while to figure out how to get the speaker apart. Came delivered well packaged. The kit is perfect, a novice like me does not have to worry about which glue to use, exact size of surround, etc. Just follow the instructions and install. Speakers are singing again. 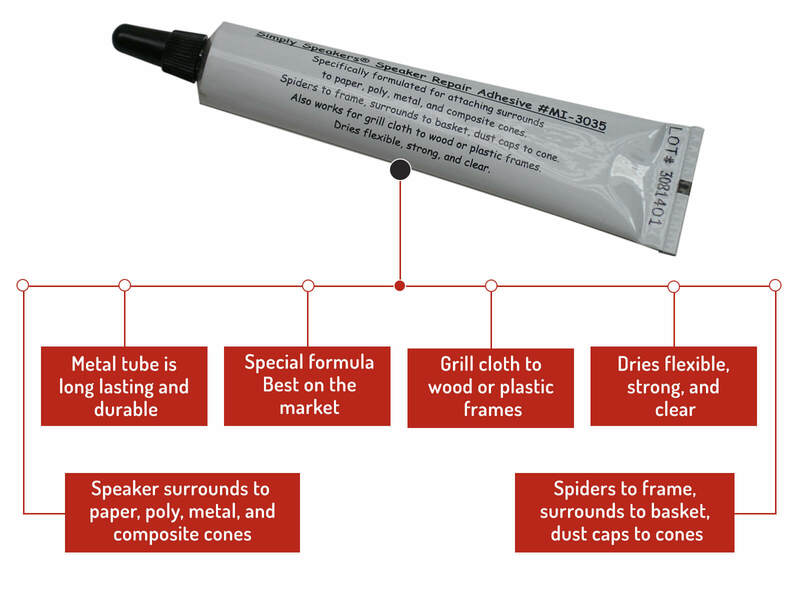 A: No, please order repair kit # RSO-FSK-5L for your model. 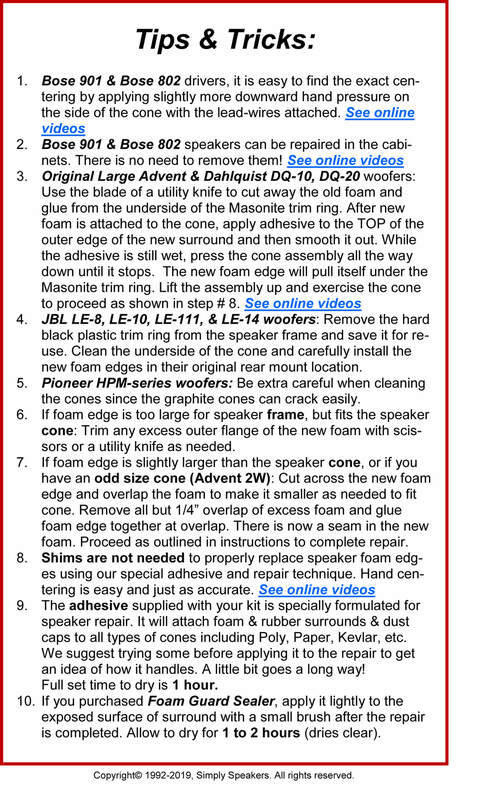 A: On your Optimus speaker model, you must remove the woofer as follows: 1. Remove the grill grommets on the front of the cabinet. You will see the Phillips head screws under them. 2. Remove the Phillips head screws that secure the front baffle to the enclosure. 3. Remove the front baffle. 4. 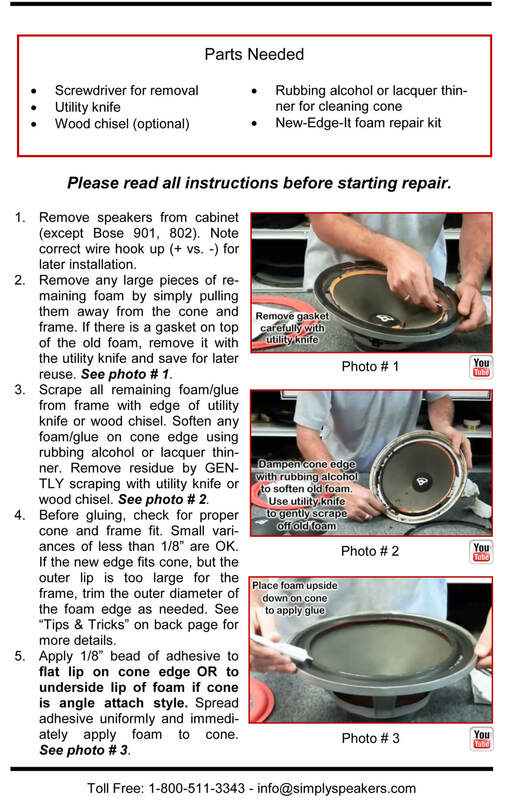 Remove the screws that secure the woofer from behind the baffle. 5. 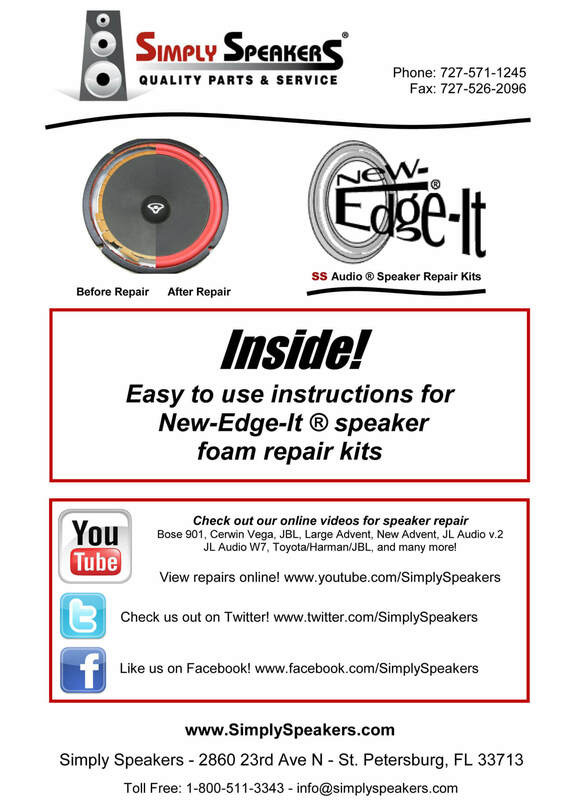 Repair the woofer with the appropriate foam repair kit. A: Sorry, no. 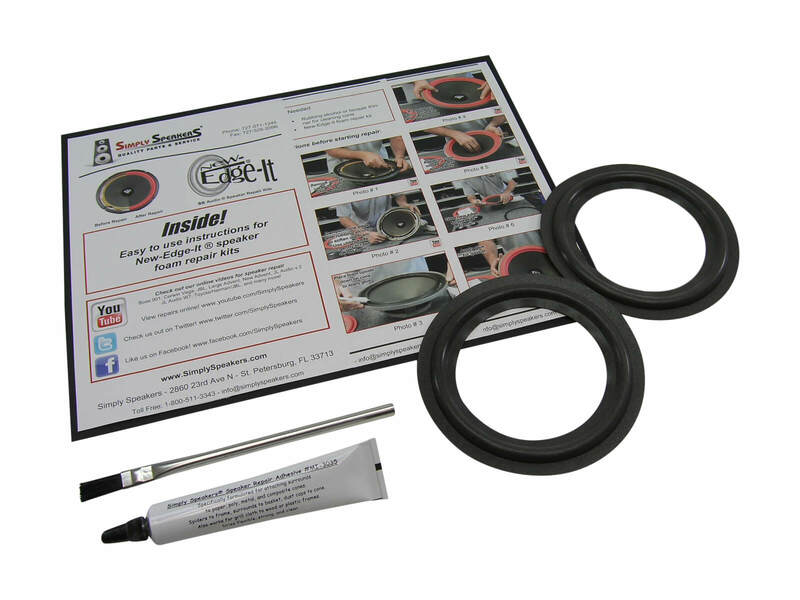 For the CS-5, please order our repair kit # RSO-FSK-5L. Thanks! Q: Hi, is this the correct kit for the Optimus Pro LX5 40-4061? Also, does the speakers having a small sticker (2A6 & 5A6) on each speaker mean anything? A: Thanks! Yes, this is the correct kit for the 40-4061. The additional sticker and numbers do not change anything in regards to the kit. Realistic, Optimus, Radio Shack: Pro LX-5, Pro LX5, Pro LX 5, Pro LX2, Pro LX 2, 40-4061, 404061, 12120, 2129, and many more!